Now you can easily get rid of the unwanted inches in a couple of minutes by using the Telebrands Tummy Trimmer. Now you can easily get the firmer and slimmer stomach, which you always dreamed of. The Tummy Trimmer tones your legs, hips, arms and thighs in the most effective manner. This versatile exercise machine works by pulling the strings with the pressure by adjusting your foot in the footrest area. The pulling helps to tone the muscles of the legs, chest, thighs and hips. This exercise machine increases the temperature of the body that causes fat to burn. The versatile Tummy Trimmer comes with the two adjustable tension tubes for more intense workouts. One tube is usually recommended for women and the two tubes works best for men. The Tummy Trimmer is like any other exercise machine, so you should always proceed with caution by not overdoing it. 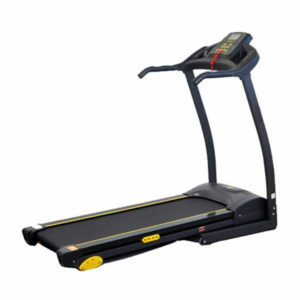 In order to get the best results, it is suggested to use the best quality footwear or just go barefoot for a better grip so that the machine does not slip off during the exercise. Try to synchronize the movement of your body during each cycle and try not to vary the movement too high or too low. You can easily use this handy device at almost any time and at any place. You can even use the Tummy Trimmer in your TV lounge during watching your favorite reality show. You just have to spend 20-30 minutes in a day to get your dream physique. This exercise machine could prove to be real blessings for those individuals who haven’t got much time to go to the gym. The Tummy Trimmer is very lightweight, compact and it can fit in your handbag or even in the briefcase. All the results of this machine are long lasting and not temporary. If you are also looking ways to get rid the problem of your obesity, then look no further than the Telebrands Tummy Trimmer and place your order now. Note: Result may vary from person to person and delivery charges applied amounting to Rs. 200 to 300 only depending on the location.